If you follow me on Facebook, then you already know my big news – my first children’s book is being published! The release date is set for fall of this year, so keep following me for updates. In honor of finally seeing my childhood dream of becoming a children’s author come true, I thought I would share a list of my top favorite children’s authors to inspire your library and get you reading with your children. I fully believe that one of the most important ways we can bond with our children is through reading. My own children love to snuggle up with me on the couch and journey into worlds that they would otherwise never encounter. They were enthralled with my husband’s reading of A Christmas Carol over the holidays, and my reluctant reader just completed her first chapter book about Amish children all by herself! My son is really into listening to me read The Hardy Boys to him, and my three-year-old loves anything with princesses or Elmo! I think reading together is even more essential in this age of technology, when we are losing our children more quickly to video games and television shows. We need to grow their imaginations to help them grow and change our world in spectacular ways! Here are my favorites, but this is in no way an exhaustive list! Please feel free to share your favorite authors with me – children’s authors or others. I love to expand my library! I don’t have a complete collection of Mr. Dahl’s works, but my library is pretty full of this author’s gems, including Charlie and the Chocolate Factory, Matilda, The BFG, and The Wonderful Story of Henry Sugar and Six Other Stories. I even have this author’s autobiography, More About Boy. This man inspires me to think outside the box, to see things in a different way, and to never stop writing. His stories are so eccentric, that I imagine he was quite a strange person himself. Even if you’ve never opened one of his books (which I find hard to believe! ), I am sure you have seen one of the movies based on his books – Willy Wonka and the Chocolate Factory, James and the Giant Peach, Matilda, and, most recently, The BFG. Trust me – no library is complete without this author! I know that people either love or hate this particular author. 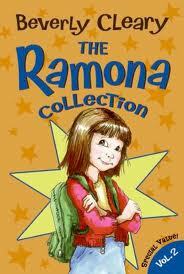 For me, I could completely relate to her star character, Ramona Quimby, who was the middle sister who often managed to get into trouble when trying to just be noticed by her family. If you’re a middle child, you know what I mean! I saw so much of myself in Ramona that it was hard to not fall in love with the author who created her. If you don’t like the Ramona series, then you may like some of her equally delightful books – Henry Huggins, Dear Mr. Henshaw, Socks, Sister of the Bride (another one of my favorites), or The Mouse and the Motorcycle. 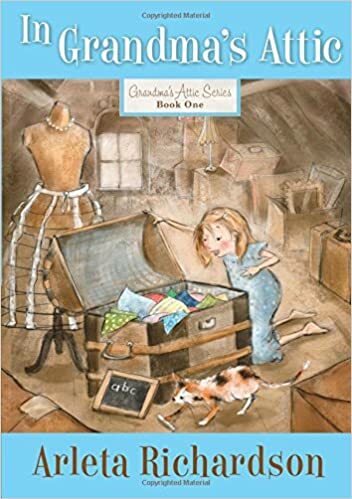 When my third grade teacher began to read the Mandie series to us after lunch, I used to dream about being friends with the feisty girl, who had been raised by Native Americans and then sent to live in a finishing school for high-society girls. In fact, my best friend and I would often pretend to be Mandie and her best friend, Celia, who often find themselves in the middle of a mystery. I collected the books one by one growing up, and I even met Mrs. Leppard once! This author is still writing, and her Mandie stories are finally being presented as movies. If you want a book for your 8-12-year-old daughter that is clean, historical, and adventurous, then I highly recommend this series to you! Ms. Richardson was an author in the mid-20th century. She was a librarian and teacher, most well-known for her Grandma’s Attic series, although she wrote many other series as well. She was a gifted storyteller, sharing the stories of her grandmother’s childhood in such a way that the reader wants to live in the days of hoop skirts and horse-drawn buggies! I love how Ms. Richardson keeps the memories of her grandmother alive in these well-written tales! History comes to life for children as they see the fun that children had back before television was even a thought. 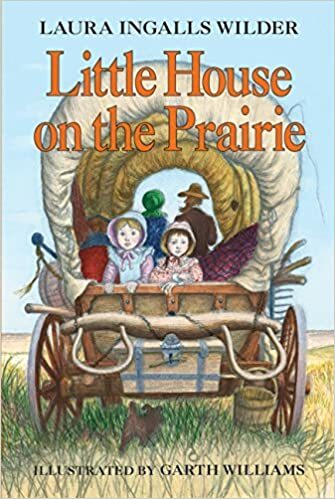 What children’s book collection would be complete without the Little House on the Prairie collection? I loved to read of the adventures that little girls experienced on the wide, untamed prairies of the Midwest! This series is an excellent collection for boys and girls alike as Pa Ingalls tells tales of hunting down bears and traipsing through the woods; the children meet and befriend Native Americans; and a farmer boy struggles to become a man. My son’s favorite book in the series was Farmer Boy, and we actually spent a summer doing a unit study on this book. We learned all about how they planted crops in untested land, how they cared for their animals, and how they prepared their food without a lot of our modern conveniences. This series has been delighting children since the 1930s and continues to inspire future writers. Ms. Brink was an award-winning author, who lived in the early 1900s. Her book Caddie Woodlawn won the 1935 Newberry Award and was one of the most inspirational books of my childhood. I loved to read about the spirited Caddie, who was based on Brink’s own grandmother, who told her stories of growing up in the woods of Wisconsin. 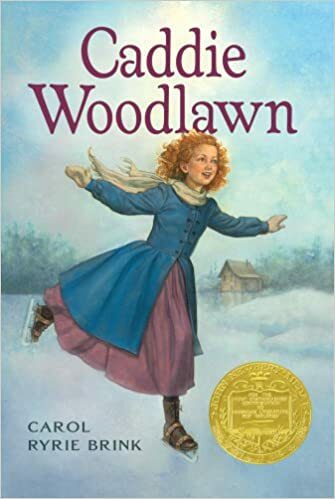 This book was very similar to the Little House on the Prairie books and even inspired me, as a young child, to write a story about growing up in the woods. As a shy child, I could live out adventures in these types of books! One book series that I have read over and over again is Ms. L’Engle’s Wrinkle in Time. I am not normally a science fiction fan, but this series was so beautifully written that I couldn’t pull myself away. When Meg and Charles Wallace’s father goes missing, they are left with more questions than answers. Unwilling to accept the fact that their father would just abandon them, the siblings, along with their new friend, Calvin, go on an adventure of a lifetime, finding themselves in a completely different dimension of space. I think it’s Ms. L’Engle’s way of describing the people and places in her book that makes me come back to the series over and over again. Her descriptive writing makes each detail in the book seem plausible, even if the reader knows those places do not exist. I understand that Reese Witherspoon is starring in a big scene adaptation of this series to be released next year, but I always recommend the books first! Even as a child, I imagined that some day I would have a child, and I would create a Winnie the Pooh nursery just for them. And indeed, I did! Unfortunately, that child is not as enamored with Winnie the Pooh as I have always been, and her beautiful green nursery has since been turned to purple. But I always loved Milne’s collections that were specifically written for his son, Christopher Robin, and his own collection of stuffed animals. 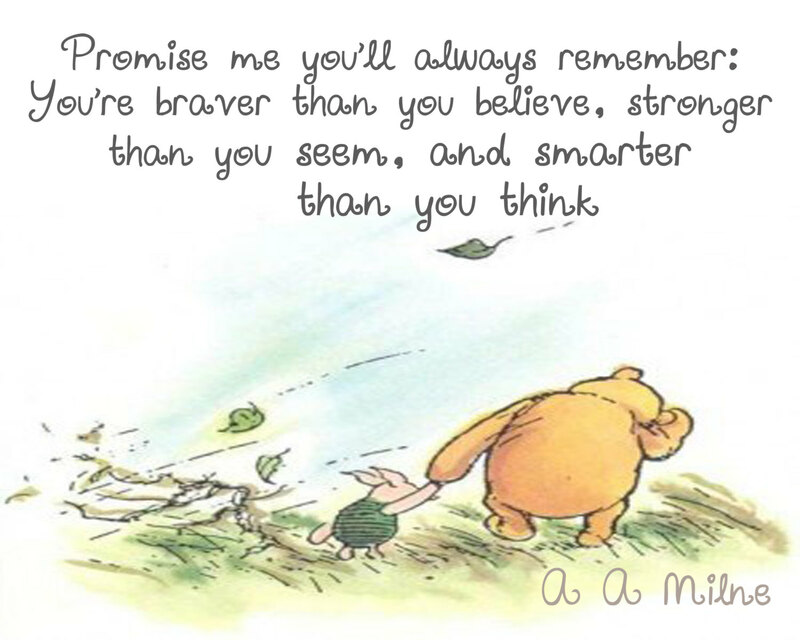 Some of the sweetest quotes come from Milne’s creative characters! 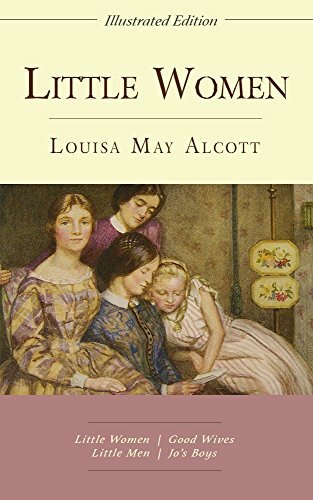 Although her books are more suited for middle school or high school, I absolutely loved to read Louisa May Alcott’s Little Women. I loved the relationship that the four sisters had with one another, and I adored the stories that Jo would create. I could easily imagine myself as one of Ms. Alcott’s characters. I have since seen several different movie versions of her book, and my beautiful friend, Joanie, recently starred in a local production of the Broadway musical version of the literary classic. This is one of those stories that can’t seem to be told wrong. Ms. Alcott has several literary classics, including Little Men, but I remain a traditionalist and love her most well-known work the best! I became so fascinated with her that I even bought a biography about her. 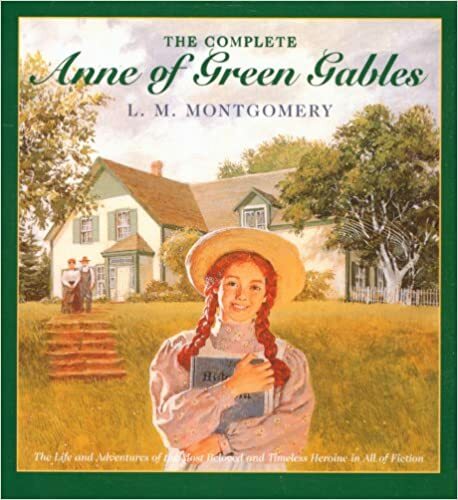 What girl growing up in the ’80s didn’t love Anne of Green Gables? I think every girl I knew was reading the series after seeing the movie, starring Megan Follows and Jonathan Crombie. But as I immersed myself into the books, I fell in love with Ms. Montgomery’s style of writing and soon found myself reading any of her books I could get my hands on. Although Anne of Green Gables remains my favorite, I also love Emily of New Moon as well. In fact, I have the complete collection of both of these series, and I also have the complete DVD series! Like I said, this is not an exhaustive list! I am constantly, even now, being introduced to children’s authors that I have never read but now adore. These are simply my top 10. I hope that I have helped you remember some of your favorite authors, and I hope you will consider adding my book to your must-have list as well!